It’s a fall Bonus Blitz! 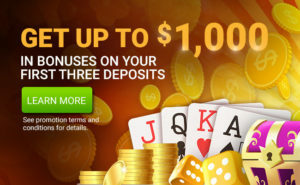 Get up to $400 in bonuses + get your share of the $500 prize pool. 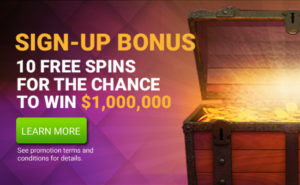 Get a 25% match up to a $100 Bonus on select days at CanPlayCasino.com. Deposit on all 4 days with promo code BLITZ25 and earn a share in the $500 Bonus Blitz Prize Pool. $500 Bonus Blitz Prize Pool – Deposit on ALL 4 promotion days with promo code and you will win a share of the $500 casino bonus prize pool. 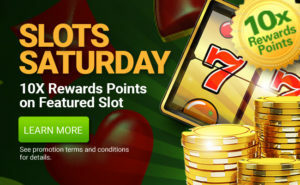 Any CanPlayCasino.com player who deposits with the promo code BLITZ25 on one of the specified promo dates will receive a 25% Match Bonus up to a $100 Bonus. Any player who deposits with The Bonus Blitz code on all 4 of the specified promo days will win a share of a $500 casino bonus prize pool. The bonus amount per player will be determined by dividing the $500 prize pool by the number of players who deposit with the code all 4 days.